I swear I just got done putting away all the wrapping paper from Christmas and its already time to do a little bit of shopping again. But I LOVE Valentine’s Day. A day all about love? I am in! Although I make it a point to declare my love to those I care about on a regular basis, Valentine’s Day is a special opportunity to go that extra mile. It doesn’t have to be about the amount you spend or what you give, but about a gesture that you may not make all the time. 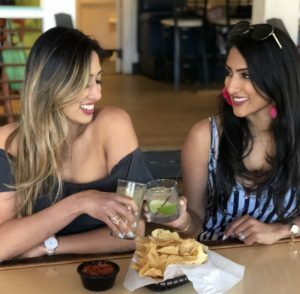 Although there is nothing like a loving note or date night to make a perfect Valentine’s Day, if you are into gift giving here are a few things on my list for the hubby this year. 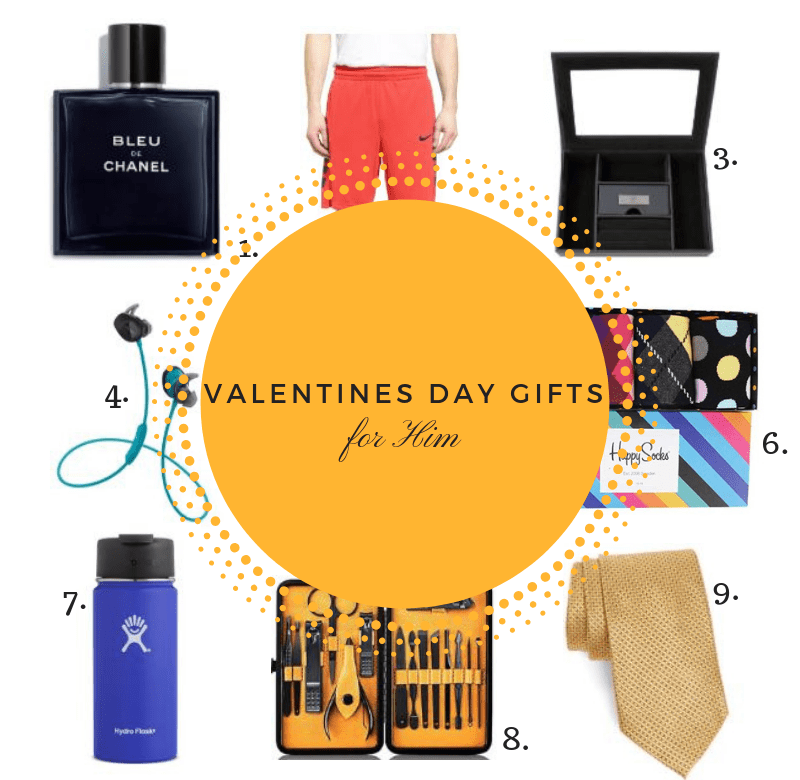 I love shopping for him (see my gift guide from last month for him), if I could afford to get him something every day I would – he deserves it! Help him keep up with his new years resolution with these comfy lightweight shorts that look good and feel good. Designed with a special mesh fabric designed to keep him cool during a work out, these are a gift that is in part fashion and function! I just bought some beautiful organizers for my jewelry and that got me thinking that I needed to get something similar for my husband. With this beautiful valet box, you can help him keep his watches, cuff links, and jewelry all in one place. With a customized metal plate on top, this makes a great gift! As much as I LOVE using my Apple Airpods, they are terrible during and intense workout. Get the most bang for your buck with these high performance workout headphones. With a built in microphone and 6 hour battery life, these are top of the line and perfect for your honey! Cotton, Nylon, and Spandex so they hold up really well (meaning – no holes)! If you have not yet invested in an insulated thermos, then start with this one. Its keeps hot beverages hot for up to six hours and cold beverages cold for up to 24! No matter his mood, this one has him covered – so help him enjoy that morning commute with coffee that stays hot THE WHOLE TIME! Its almost embarrassing how many times I recommend these (see my holiday guide for him here). But truly, a well groomed man is so dreamy! Keep those eyebrows (and nose hairs) where they belong with this kit. It comes in handy so much that you will catch yourself looking to use it too. Men don’t have as many options to accessorize as women do when it comes to accessories, so when I find a unique design in a tie I grab it. This Nordstrom exclusive silk tie has a micro-grid on it that is simply beautiful! My husband wears a tie every single day and loves getting them, so if you are in the same boat, you can’t go wrong with this one. I hope you enjoyed this gift guide. Shopping for the guys can be hard if you over think things, but sometimes its nice to keep things simple and sweet. So which pick was your favorite?